I purchased this product December 2013 and after only a few uses the stitching was coming out of these gloves. The finger tips split wide open. The hard knuckle plate digs into the hand. The Velcro does not hold or stay closed. They are terrible. Would NOT recommend anyone to buy these. Got these in store during a sale. Thought I'd be a 'small' for sure since I have relatively small hands, but 'small' turned out to be REALLY small, so if your buying these online beware. Unless your a younger lad with small youth hands 'small' won't fit. I took a medium by the way. And if your looking for a reference my hands are the length of a KD box... A weird reference but a reference none the less. Anyway getting on to the gloves themselves I have to say they are built quite well with soft supple leather and adequate padding. They come with two knuckle inserts, one is a hard plastic looking one that will stop any pain, the other a hard foam oval like insert. It's definitely a lot more flexible and will still take the sting of an impact away but looks a bit lame tbh. Half the reason I got the gloves was because they look awesome and indeed they do. 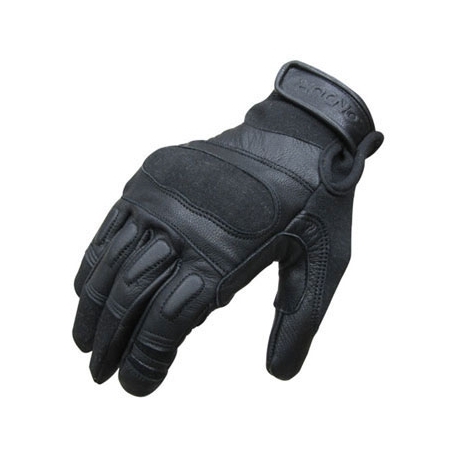 As for protection, the knuckles are rock solid while still giving you flexibility. The fingers have padding closer to the top but lower portion is covered with a single layer of what I think is Kevlar? It's like that so you can cut the knuckles off if you want but if you don't the protection there is almost none existent. An interesting feature is the padding on the inside palms. There's quite a lot, which I found to take a lot of the feeling from your palm which is probably my biggests con with them. Another is the general fit of the gloves. If you just have them on your hands it fits nice, but once you make a fist they get tight around the knuckles witch is easy to ignore but still there. Personally I use an A5 platform and when holding it with the gloves the grips feel almost crowded between all the palm padding. It would be good if your working with them on but if your like me and only use them in game it feels unnecessary. The black co our is nice but the gloves can get hot in the sun. I've found them to take the sweat pretty good however and it hasn't really hindered me in game. If you're looking for protection then these are it. I've taken a few pointblank shots in the hands with with these and they take the sting right out of it. Of course you'll still feel the impact, but that's it, the perfect blend if you ask me. I haven't really been rough with them so I can't vouch for their durability but if you want them to last, don't stick them in the fire or grab a cactus, be good to them and they'll serve you just fine, especially once they're broken in. Hoped this helps you make a decision because if theres one thing I need when thinking of a purchase it's information. 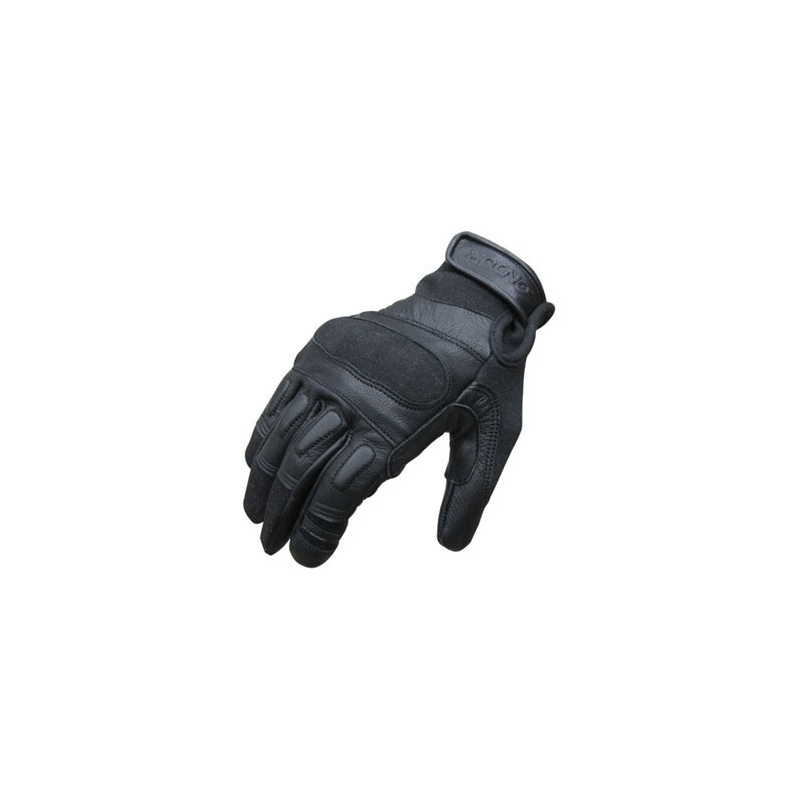 These gloves are great, Protection is good and the kevlar helps protect your hands whether it be setting up fields for tournaments or crawling through thick brush its always nice to have these on to keep your hands clean and cut-free. Mine came with a hard and soft insert for the knuckle allowing some flex to the use and feel, the trigger finger has leather that can be cut so you can feel your trigger. My advice is to buy them tight fitting and stretch them out for the best fit and feel through the glove. The protection from paint is great, lots of padding on the 1st and 2nd knuckles and where it matters. 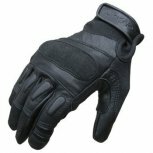 I would recommend them to woodsball players or people who want to protect their hands when setting up a field, for the money I think their one of the better choices out there.